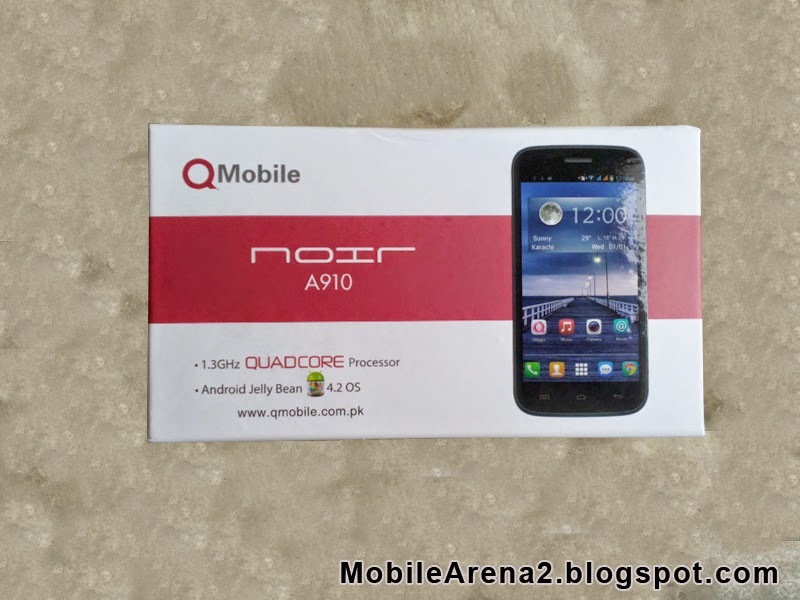 QMobile NOIR A910 is the successor of the most famous and popular smartphone NOIR A900. 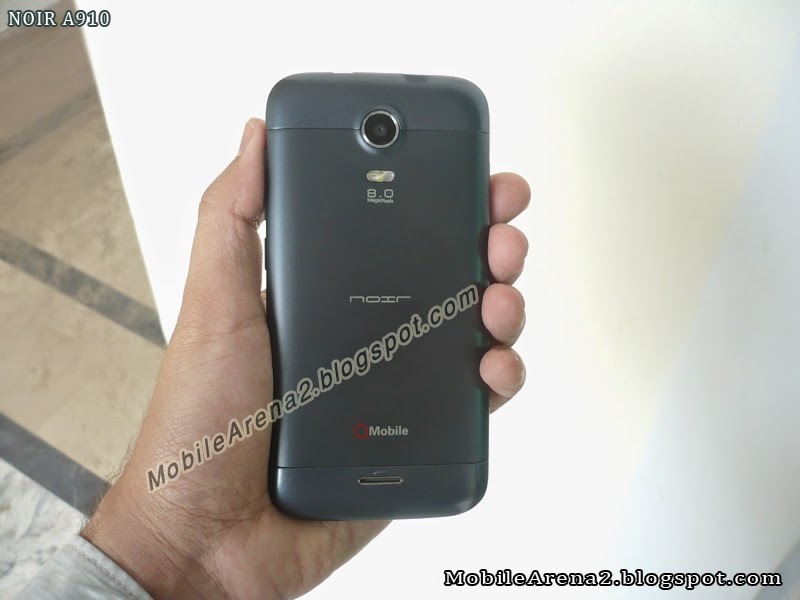 It has special features like air gestures, slim body, 8.0 MP auto focus camers and Quad-Core processor. This smart phone has an amazingly extra light weight body of only 110g and it astonishes you when your hold it in your hand first time. Its body is made with sophisticated dark blue plastic. 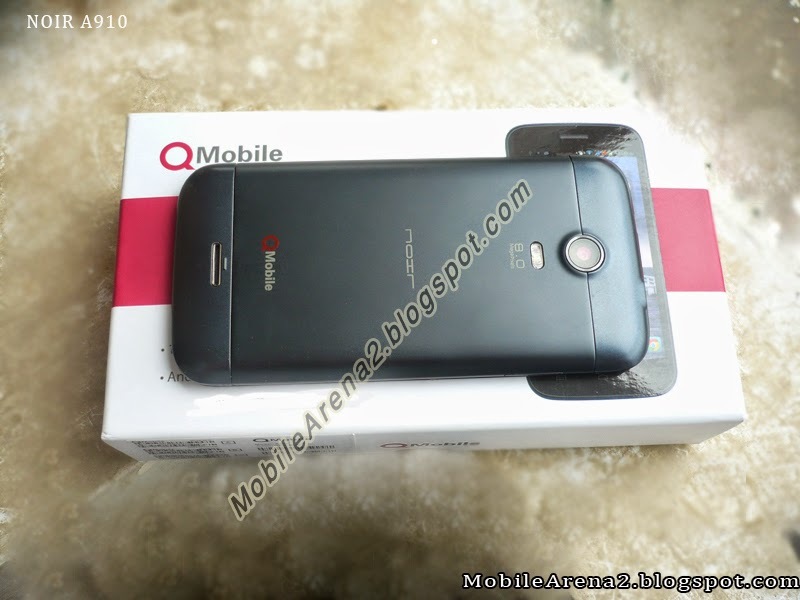 It has 1.3 Ghz processor with 4 cores inside it. 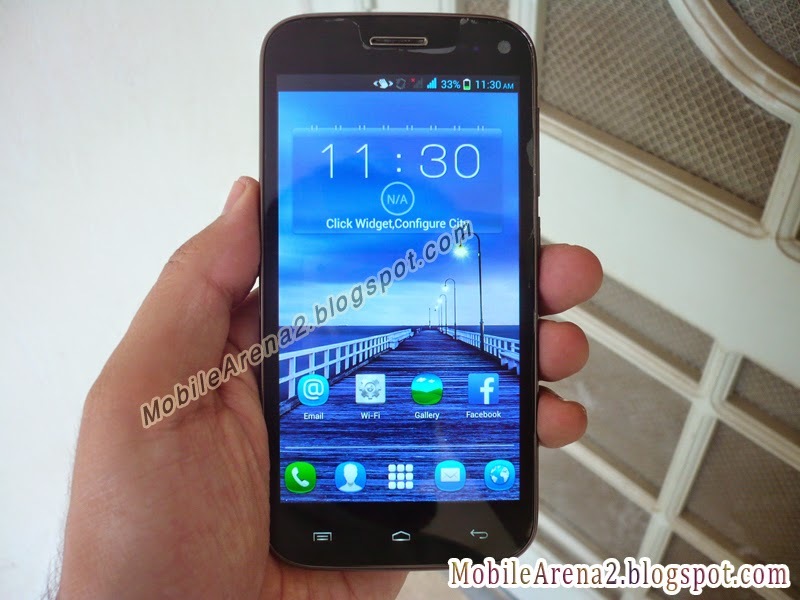 A combination of 4 GB internal memory ( 2GB user available) and 1 GB RAM is also on board. 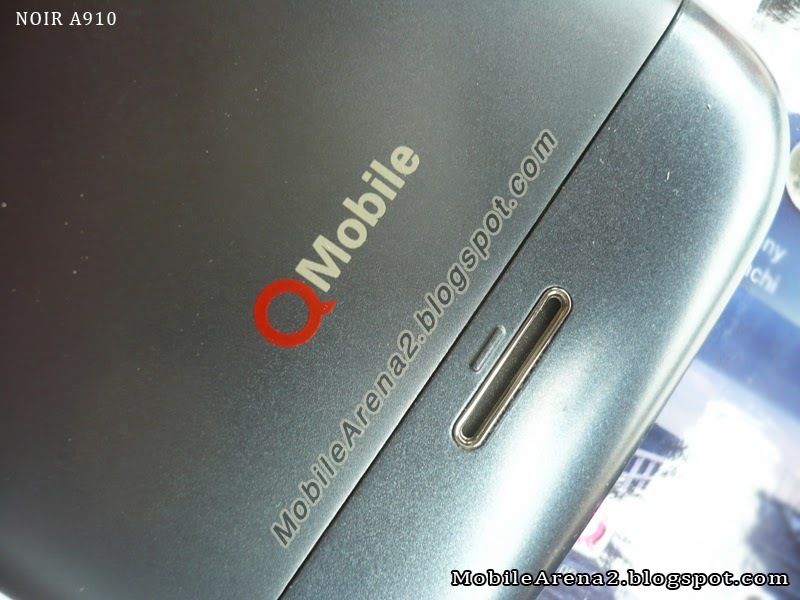 It is a dual sim phone. 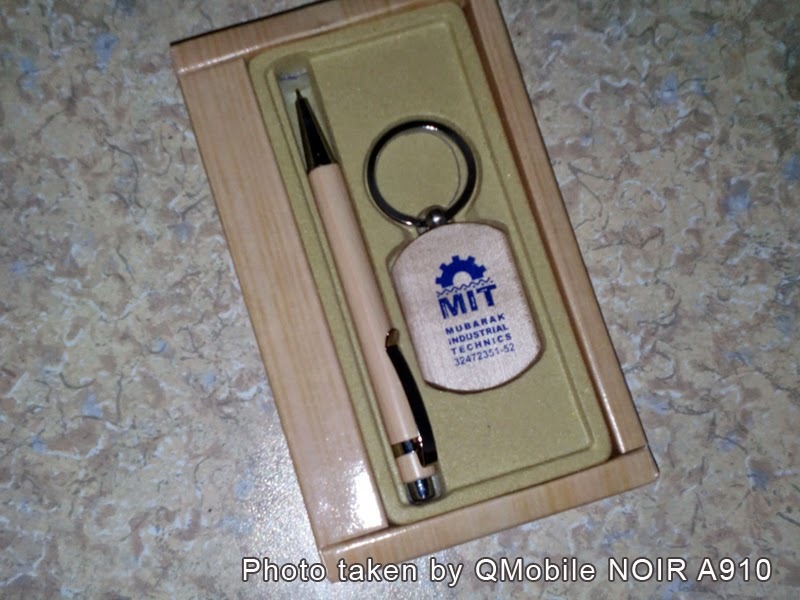 A regular sim and a mini-sim are used in this phone. 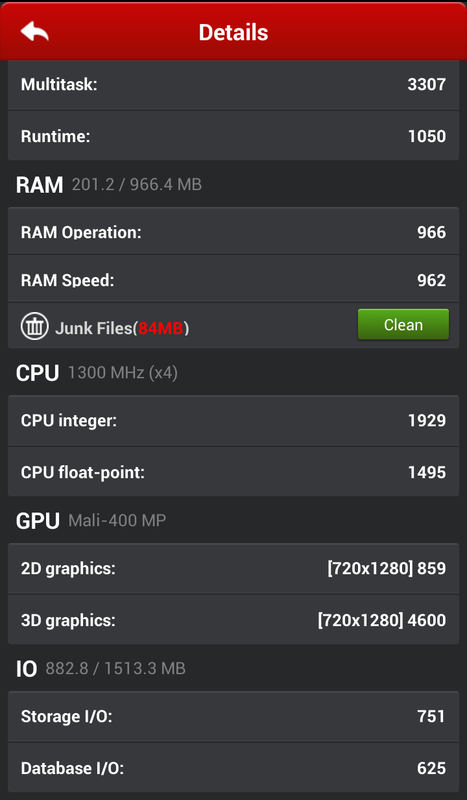 Its performance is very smooth throughout the whole interface but on heavy games it shows some lags. 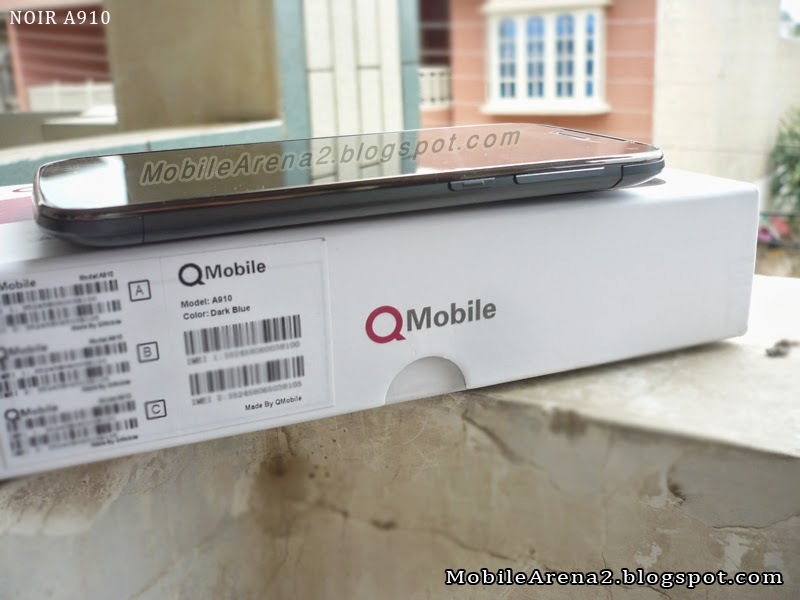 We have baked a video review of this master piece of QMobile for your viewing pleasure. 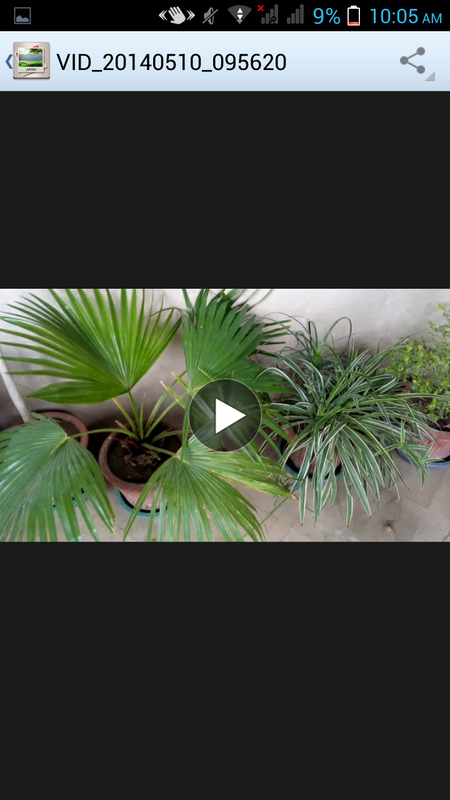 Text review is continue beneath this video. Let's watch this phone in action. 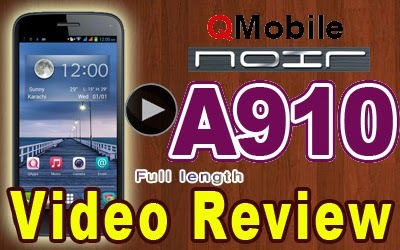 QMobile NOIR A910 Video Review in Urdu (full length) from Bilal Saeed on Vimeo. 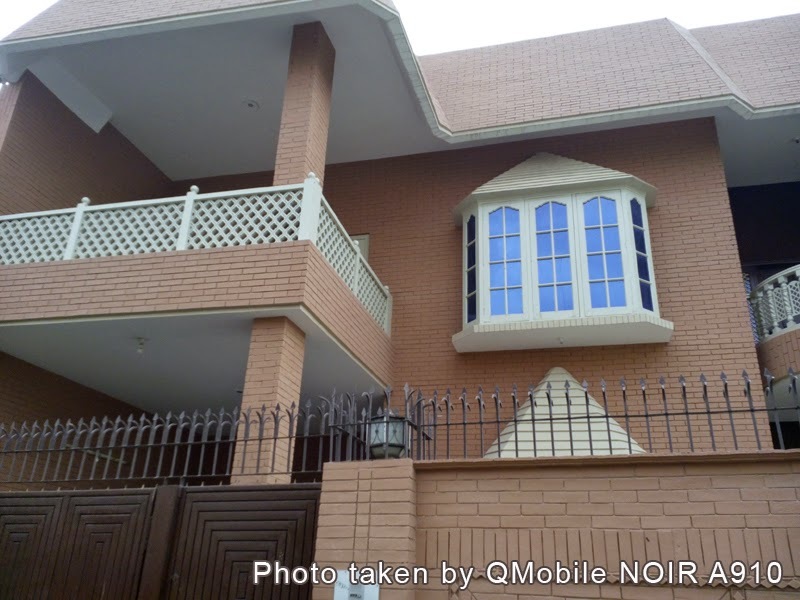 QMobile NOIR A910 has a beautiful and graceful design. It has 4.7 inches IPS display with rich colors and bright light. On the front side it has ear piece , sensors , front cam over the display and beneath the display it has three capacitive buttons with internal ligth. 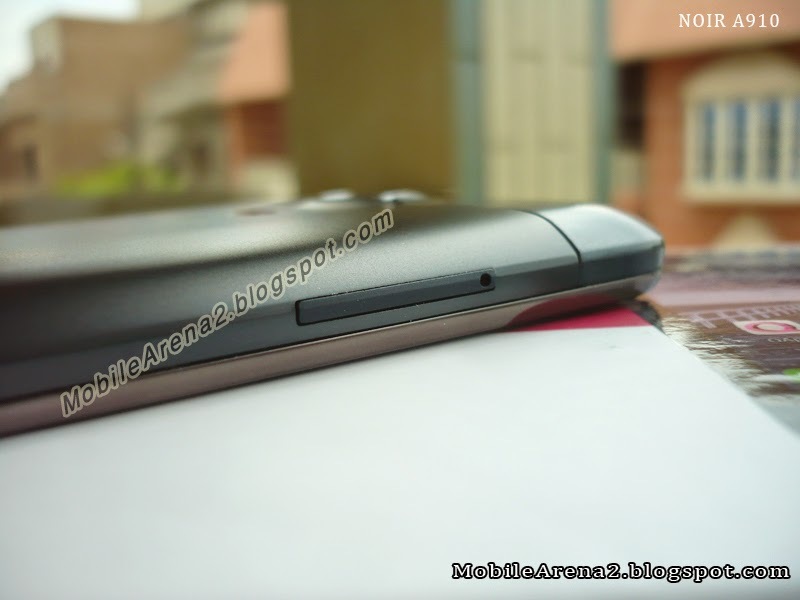 It has been made in a uni-body structure that means there is not any battery cover on the back of the phone. 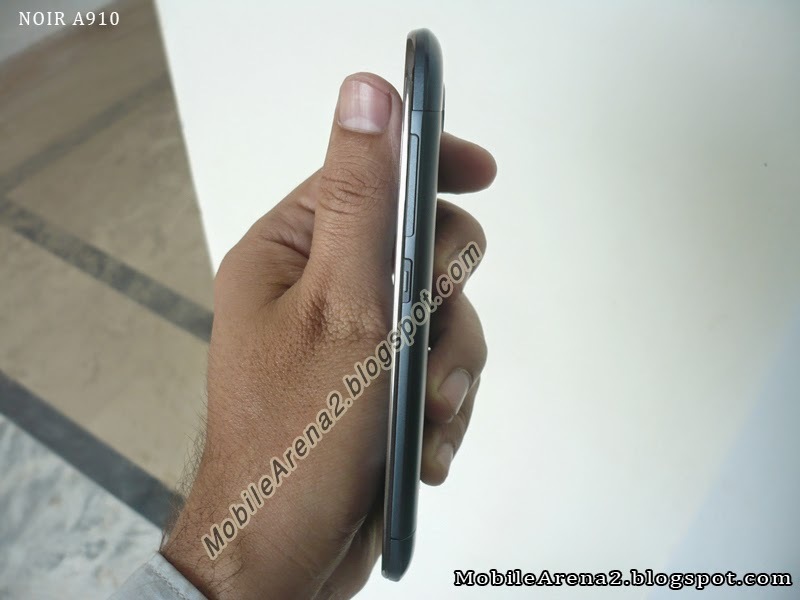 You can not remove battery from the phone but there are two lids on the back side of the phone. 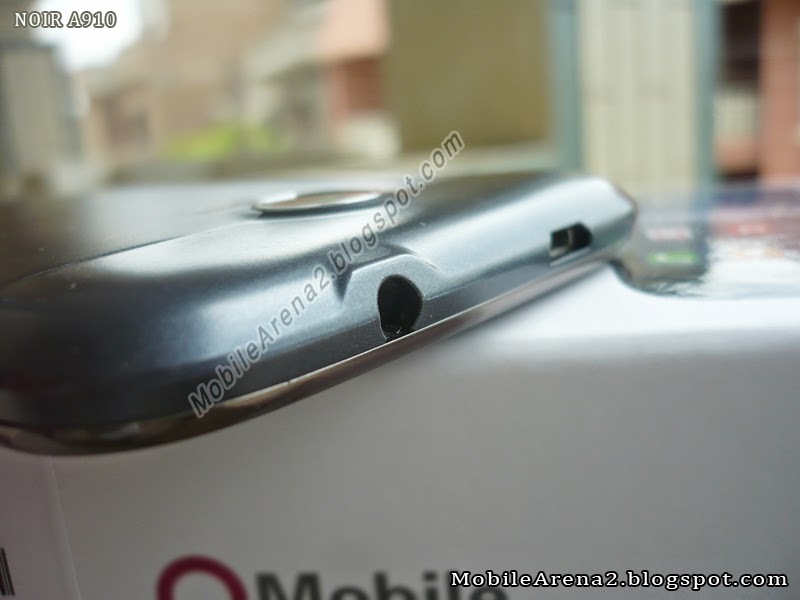 When you open the upper lid you found spaces for a regular sim card and a hole for memory card. Inside the lower lid there is nothing but speaker grill. This lid in only made to give symmetry to the back side of the phone. 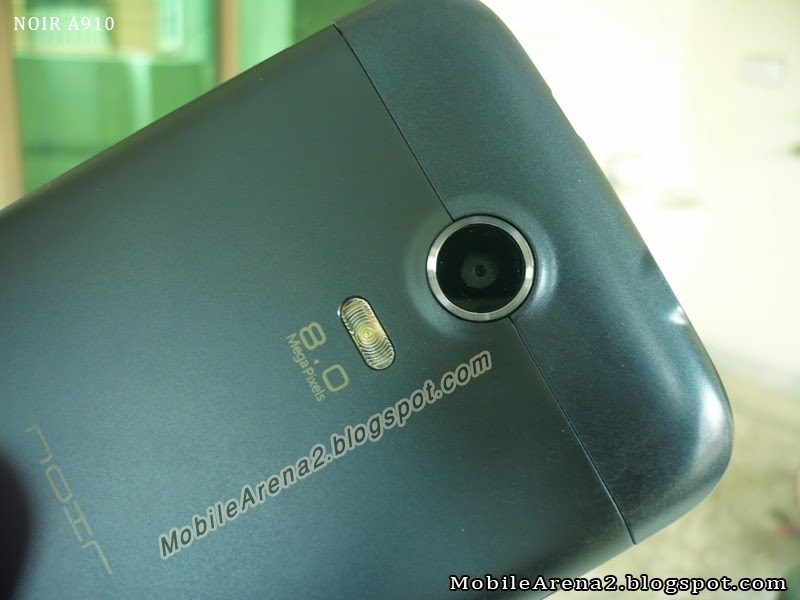 It has 8.0 MP camera lens and a LED flash light. 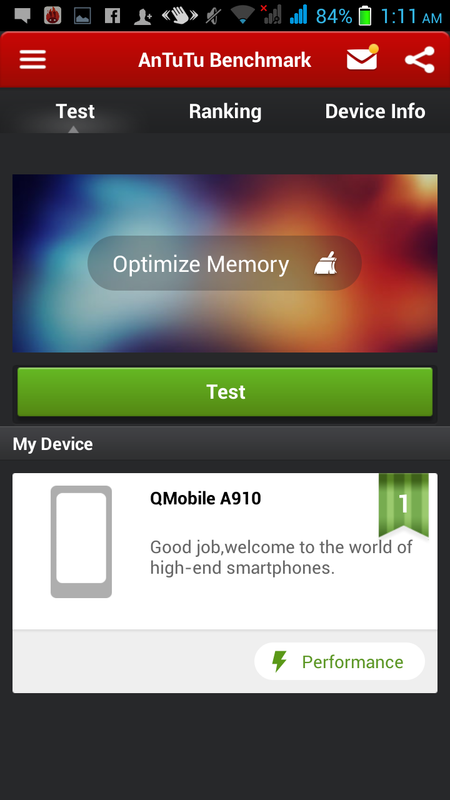 QMobile NOIR A910 has a bright 4.7" screen with 720x1280 pixels and 16 M colors. 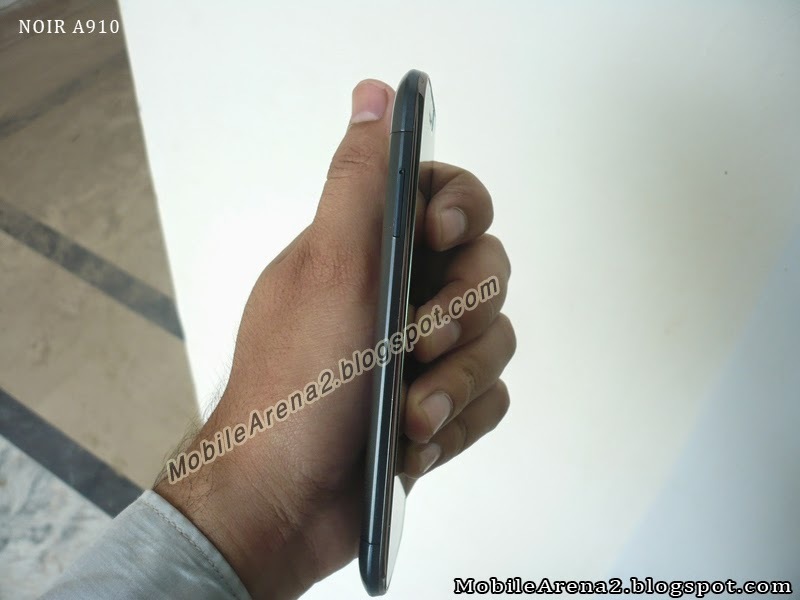 It renders very crisp display and fascinates you on very first look. You want to look at its screen for long. 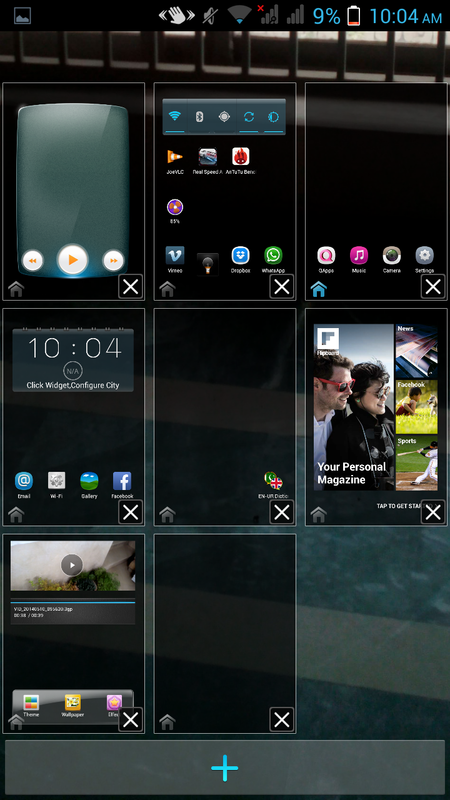 On the home screen it offers smart gestures. 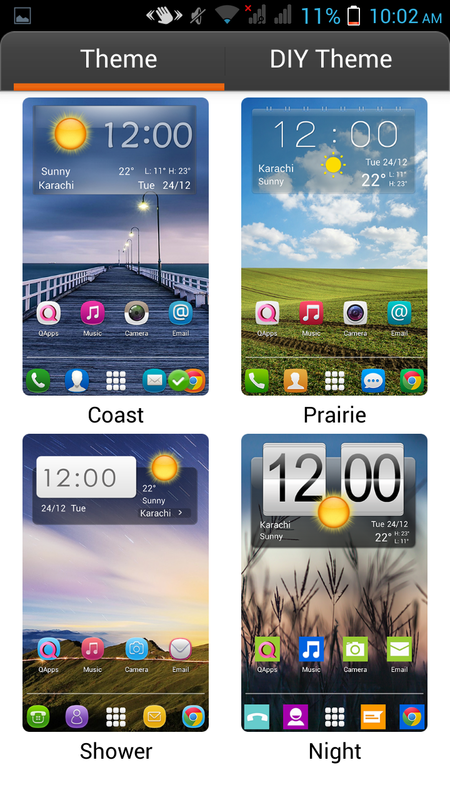 When you swipe upwards on any empty area of home screen it opens menu for Themes, and Wallpaper . When you swipe downward it open notification center. This is divided into two portions switches and notifications. 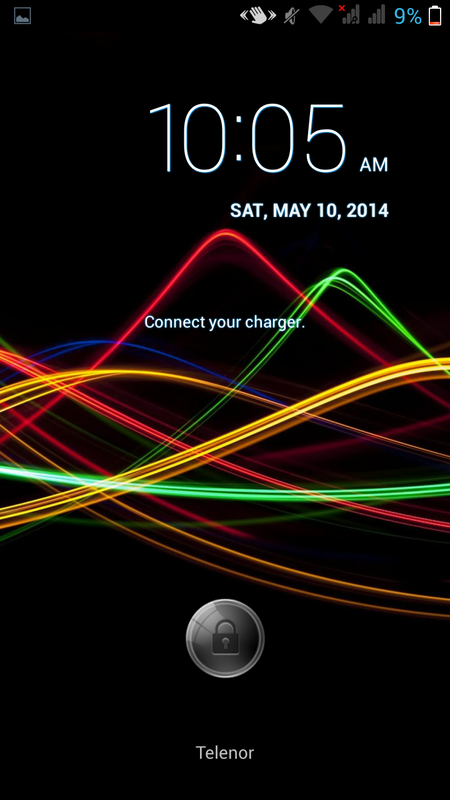 On the top side this phone has a notification light which can blink into two colors , red and green. It blinks in green when a new msg or missed call is there and it blinks in red when you put in on charging or in the battery low condition. 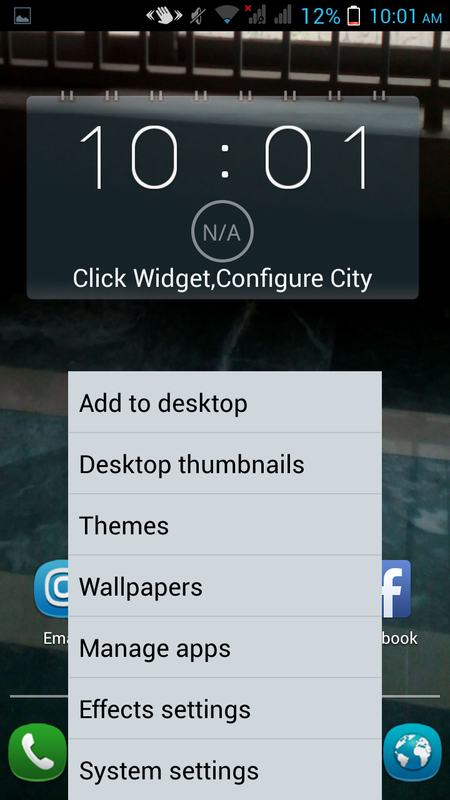 Fom this menu you can add new thumbnails to your home panel and it also allows you to change wallpapers and themes. 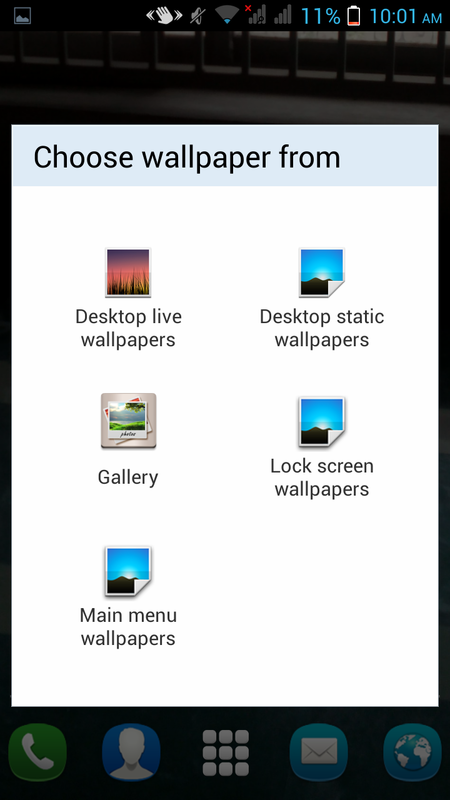 Effects setting and main system setting menu can also be opened from here. 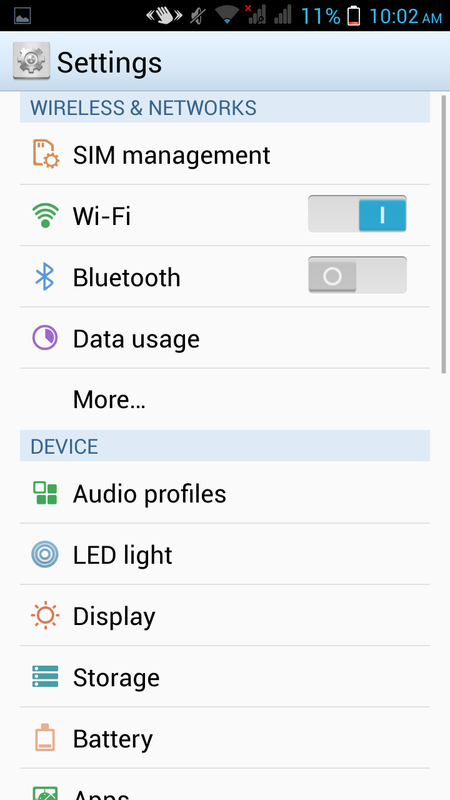 On long press of power button it opens another menu which offers you to change your audio profile, active aeroplane mood and reboot the phone. 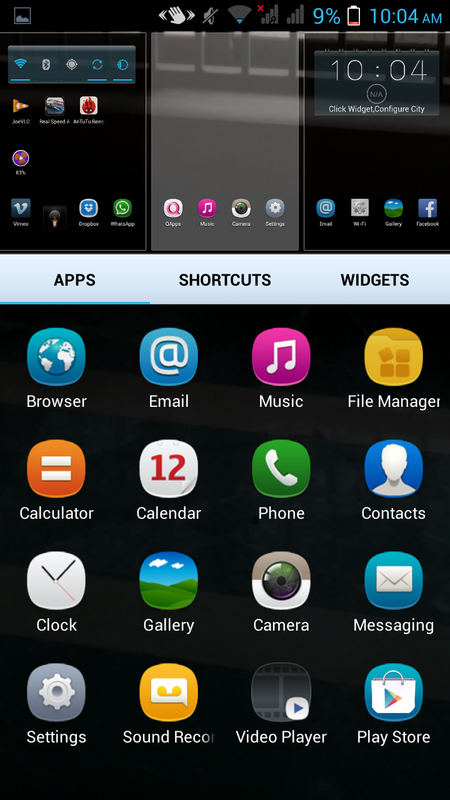 On long press of home button , it opens multi taksing menu from where you can switch between running applications. 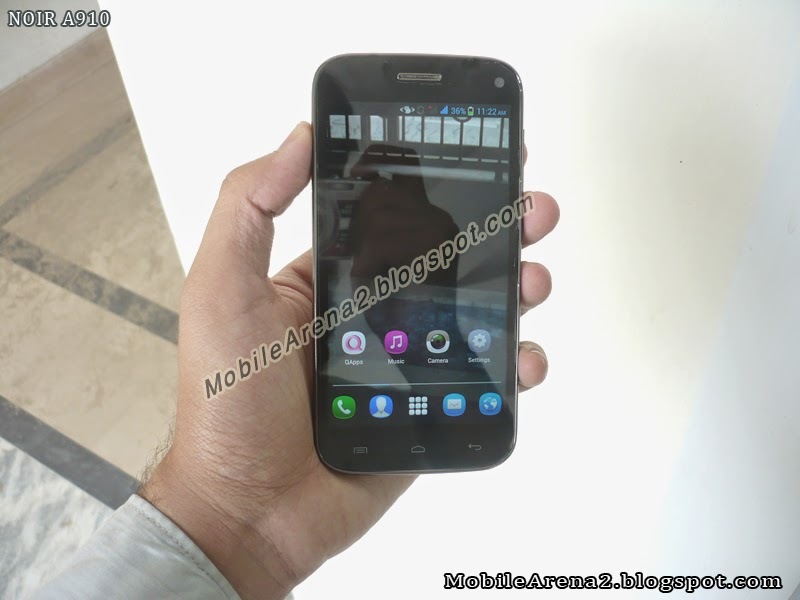 QMobile NOIR A910's dial pad is very nice and bright in design . 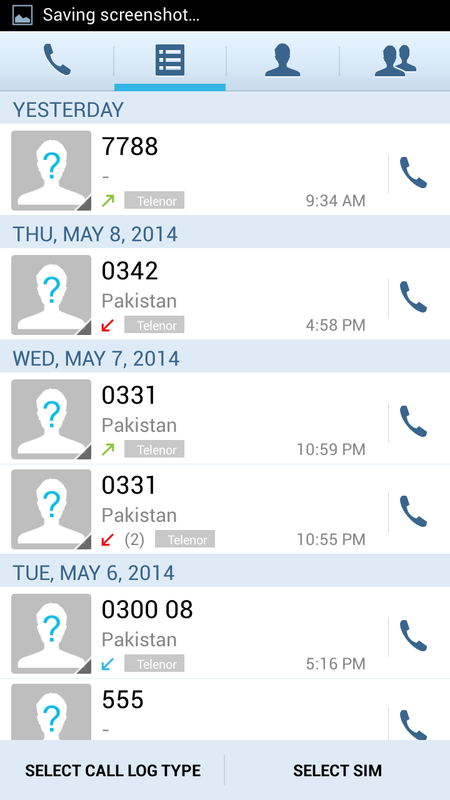 You fell pleasure on dialing a number. Dial screen has 4 tabs included dial pad. 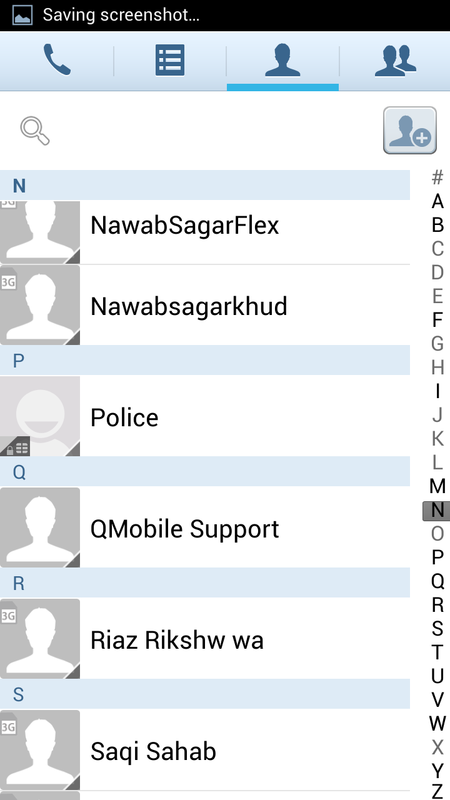 On your first swipe leftwards it show call history , next tab shows phone book and the last tab shows the caller groups in which you can classify your contacts for ease of access . 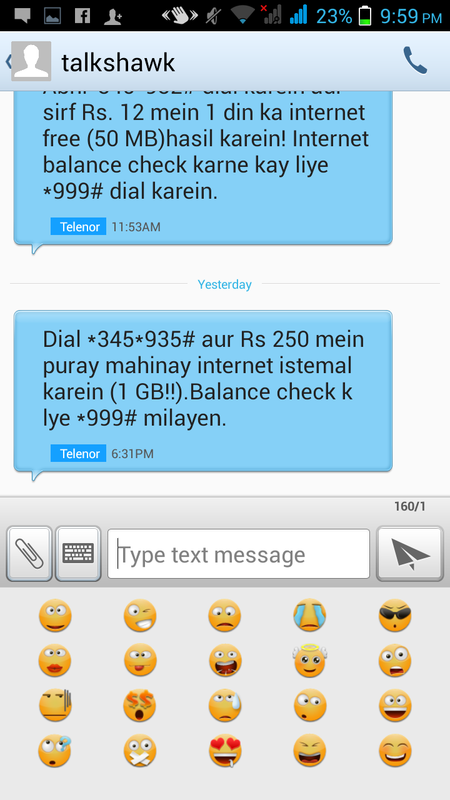 Its message user interface is also very cool with new color scheme and interesting feature of adding themes inside the message window. 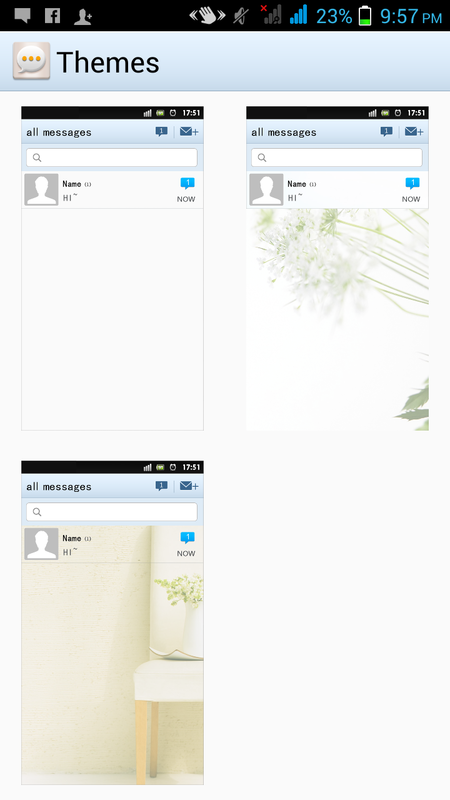 It offers three themes that you can set behind your messages. 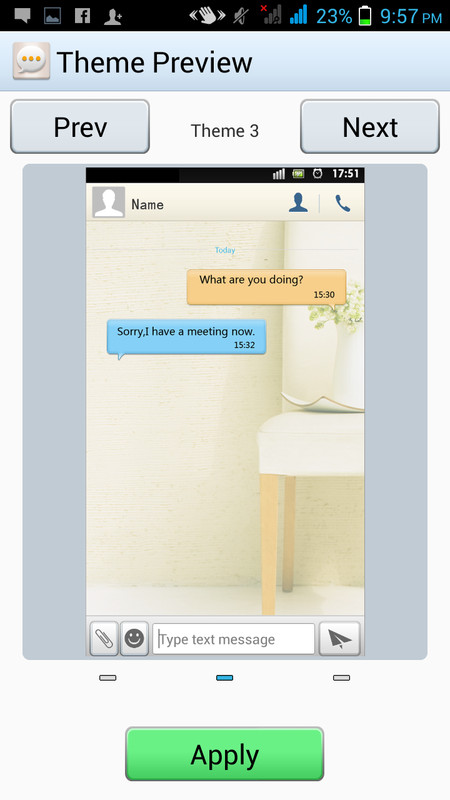 It also offers the option to delete a single message by swiping it toward left or right during a conversation. 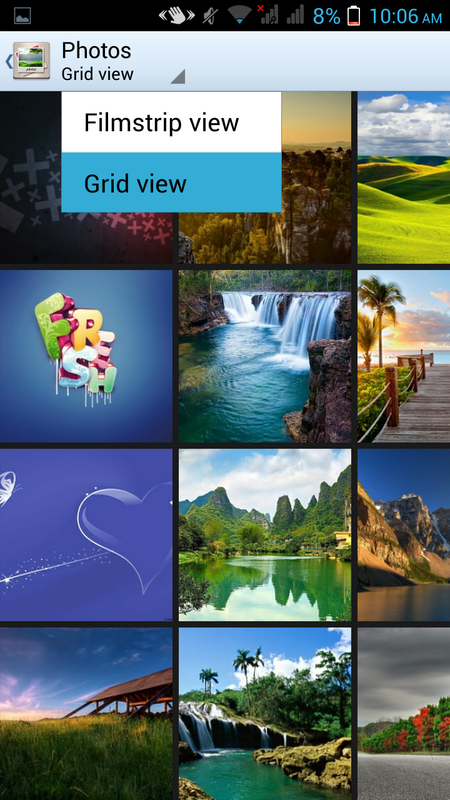 It emotions are very cool and it allows to add different stuff like pictures , videos and animations in your message when you want to send MMS to any member of your friends or family. 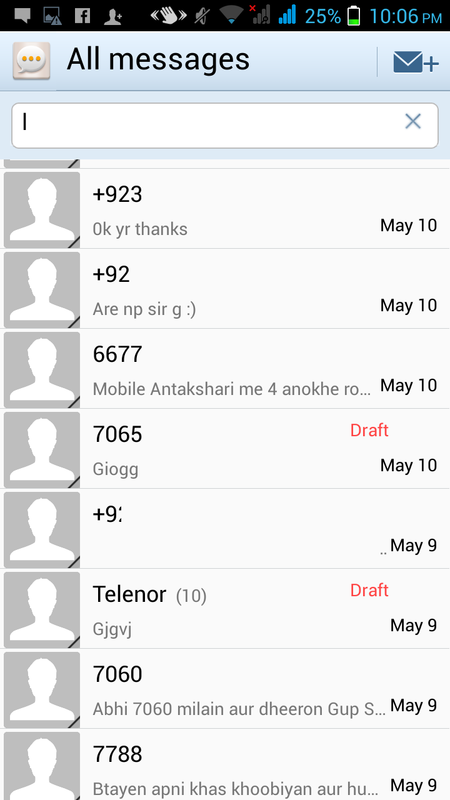 It also gives the facility to search a single particular message . 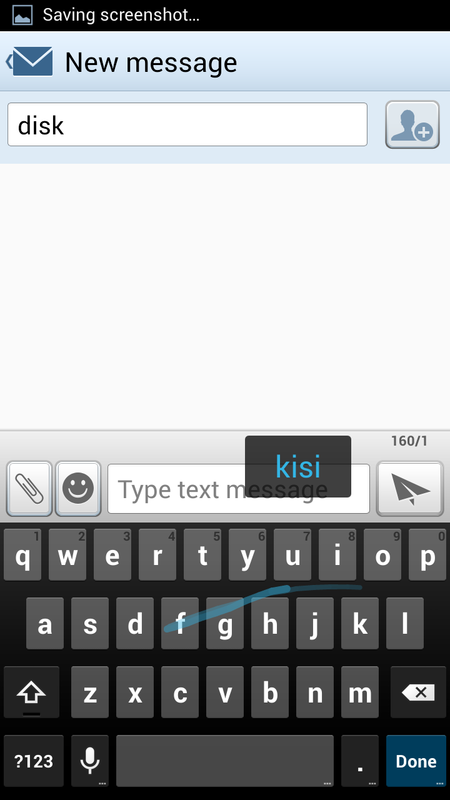 Only write some words in search box and it will open all the related messages for you. 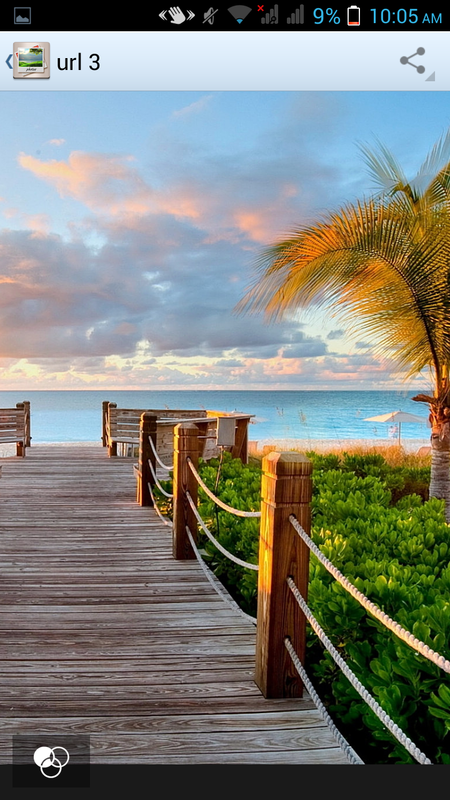 You can also send and receive E-mails from all of your accounts in one place. 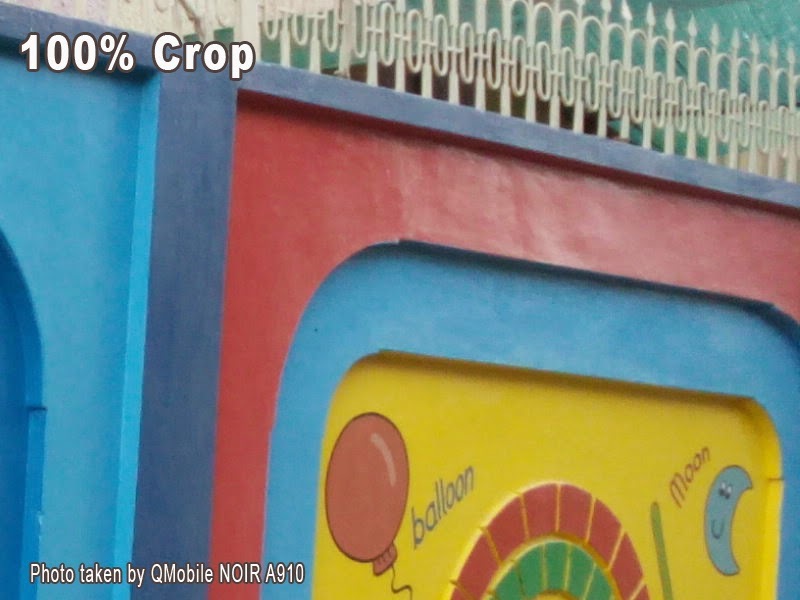 QMobile NOIR A910 has a stunning 8.0 MP auto focus camera which take photos of very good quality . 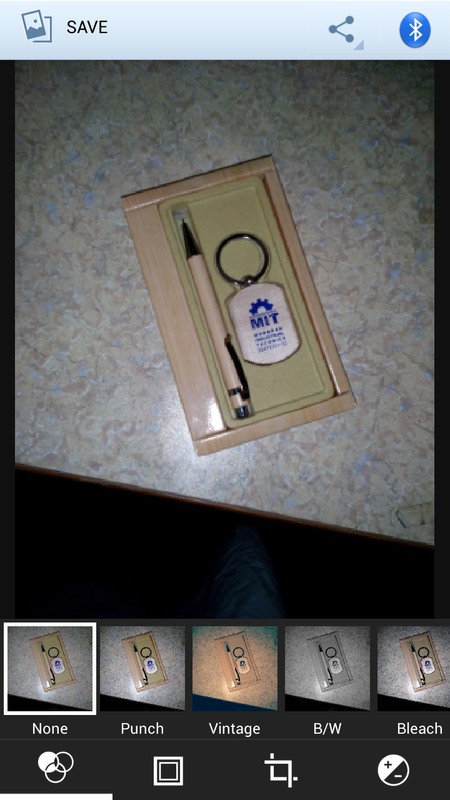 Its shutter speed is really awesome and it capture image in no time. 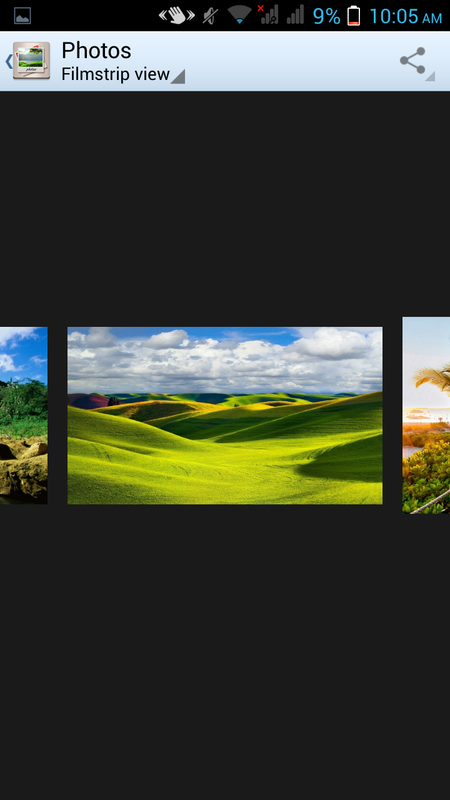 It offers really cool feature in camera user interface. You can switch off and on LED flash light or can set it on automatic. It also allows you GIF animation recording and a function of Remove object is also there to assist you while photographing. 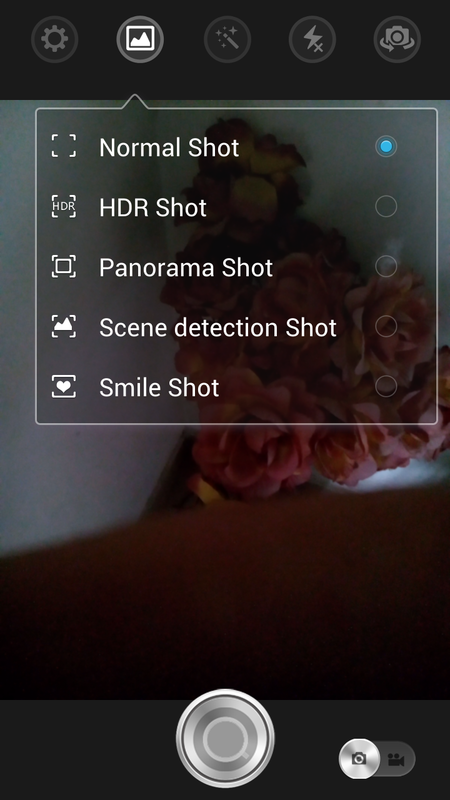 It offers HDR shot , panorama shot, smile shot and screen detection shot. 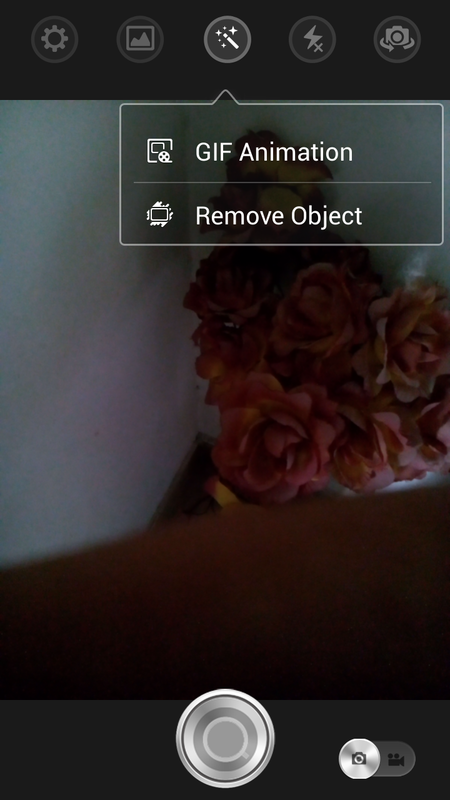 you can also take images by air gesture over its sensor when the object is in the focus. 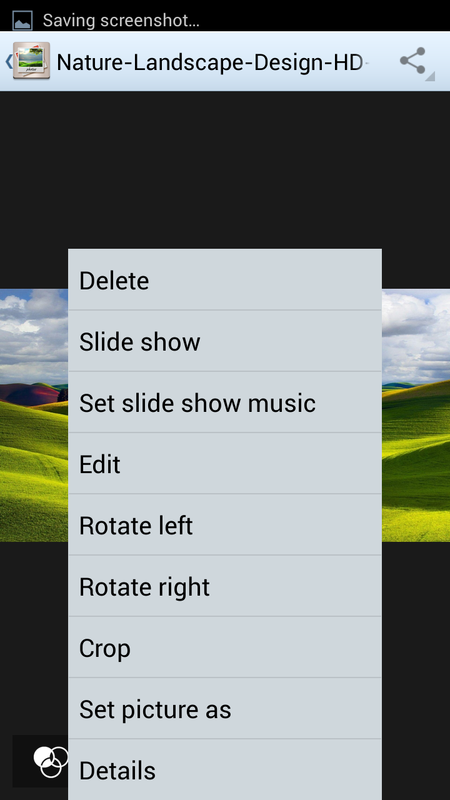 You can also capture pictures by pressing volume down button. 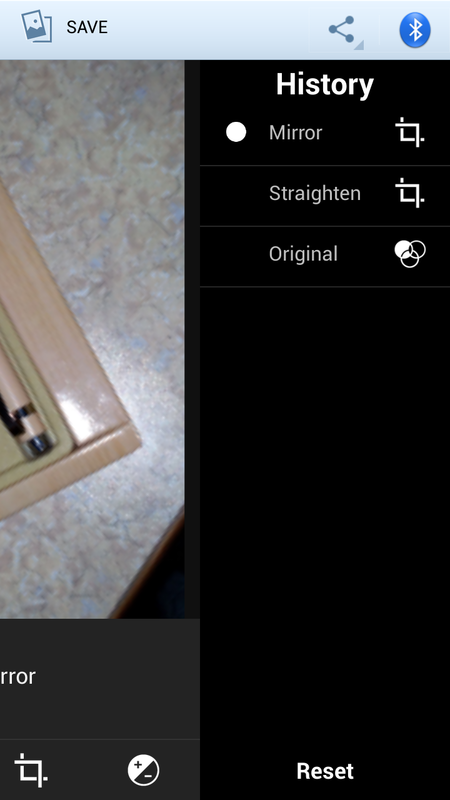 This feature makes your phone really a camera like device by giving a hardware shutter button. 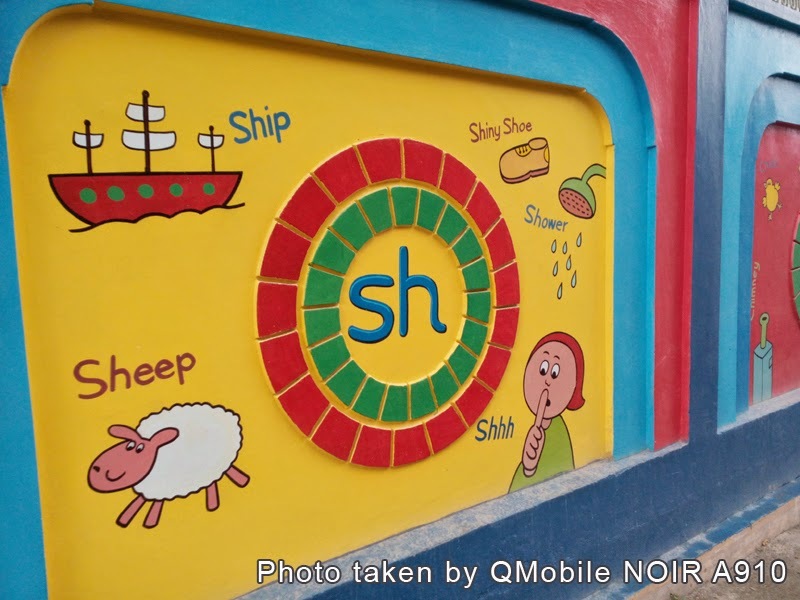 The gallery of QMobile offers a lot of functions including different browsing styles, a lot of editing options and a lot of ways to share your stuff with your loved one. The editing menu also has history bar . You can open this bar by swiping your picture towars left side. It stores all actions and you can undo any of them. 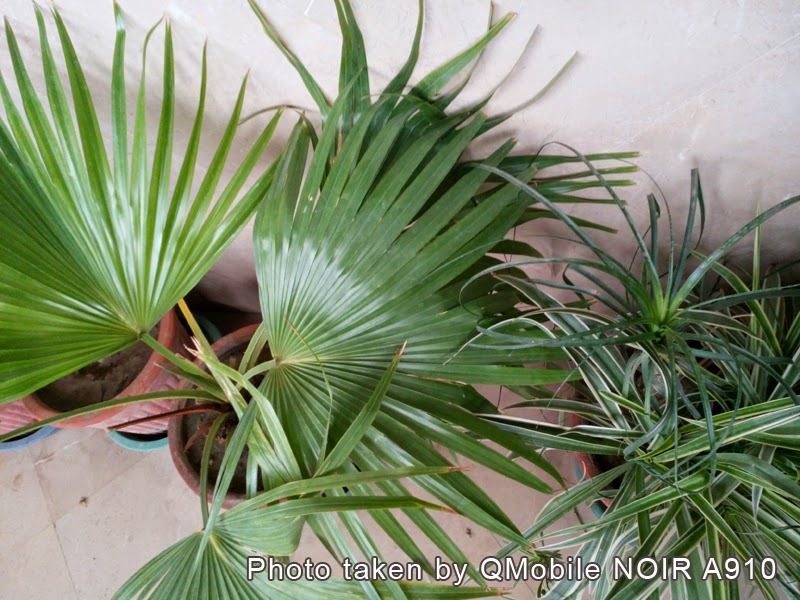 We have captured some images with the camera of this smartphone and it performed well in both outdoor and indoor photography. 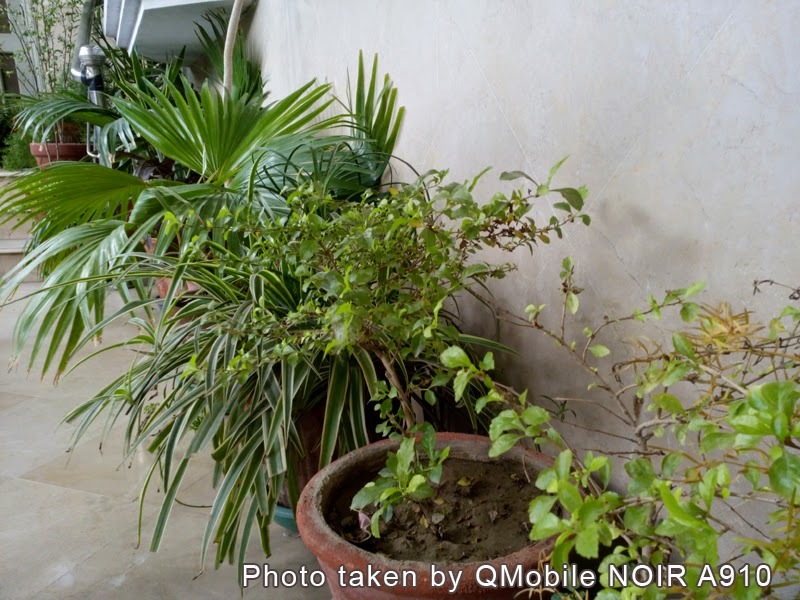 Here are some camera samples taken by the camera of QMobile NOIR A910. 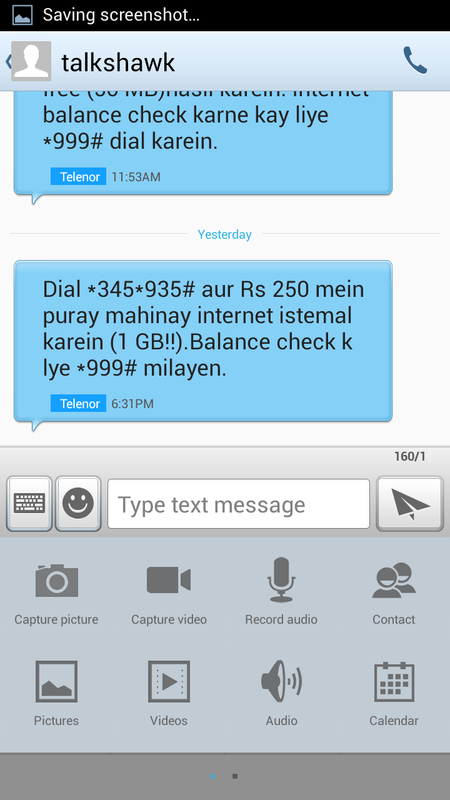 QMobile has presented very useful smart gestures in this phone. 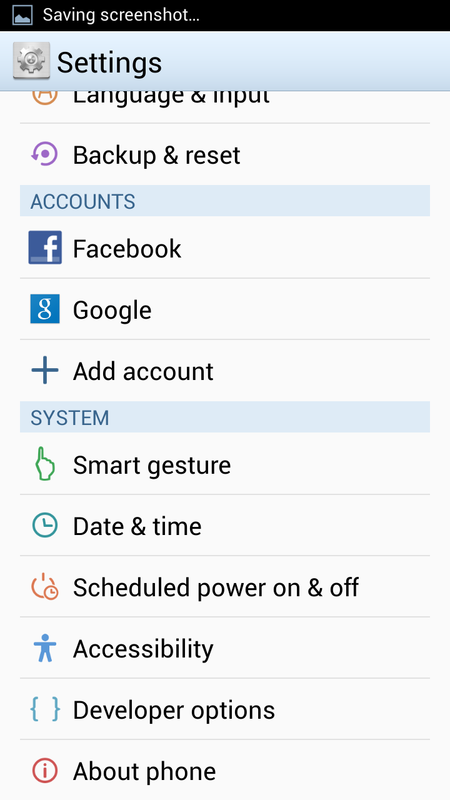 "Smart Unlock" gesture is for unlocking your screen by air gesture. 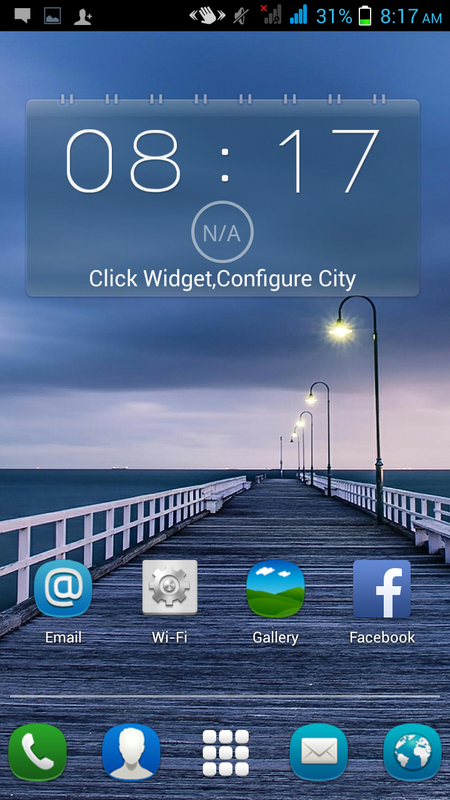 Turn on the smart gestures from setting and put your lock screen on "Slide to unlock" . Now you are ready to use this gesture. 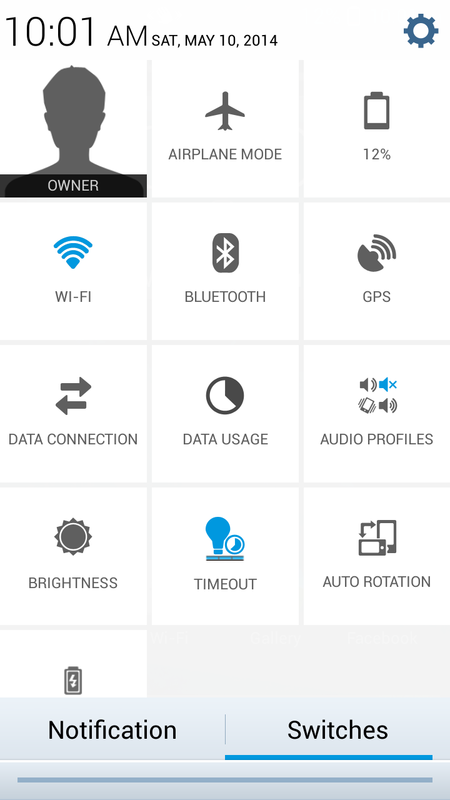 Only give a smart move by your finger over the sensor and it will unlock the screen. 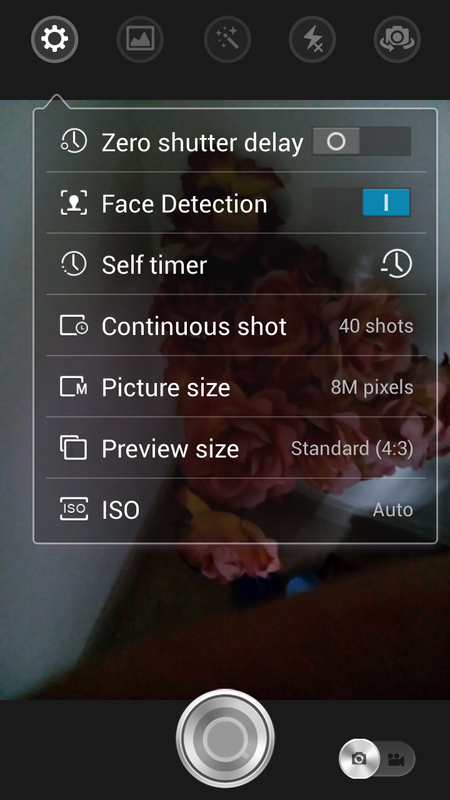 "Smart snap" gesture is for taking snaps when you turn on your camera interface , but sometime this feature annoys you very much by taking continuous pictures. 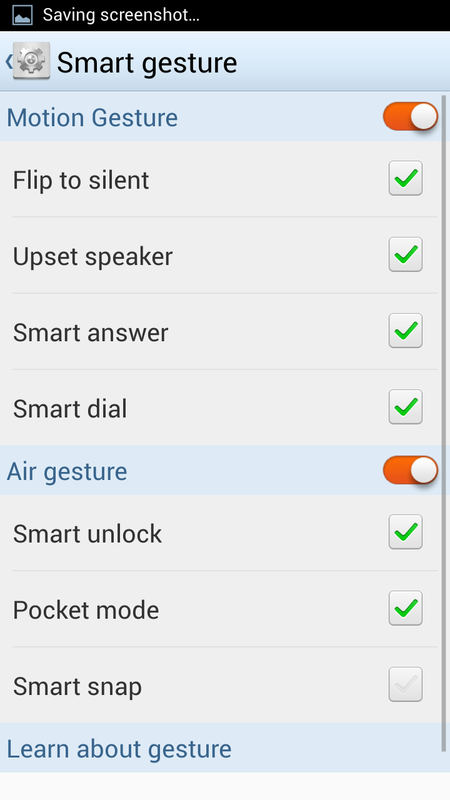 "Flip to silent" option gives you facility of muting your phone by simple turn over during incoming call. 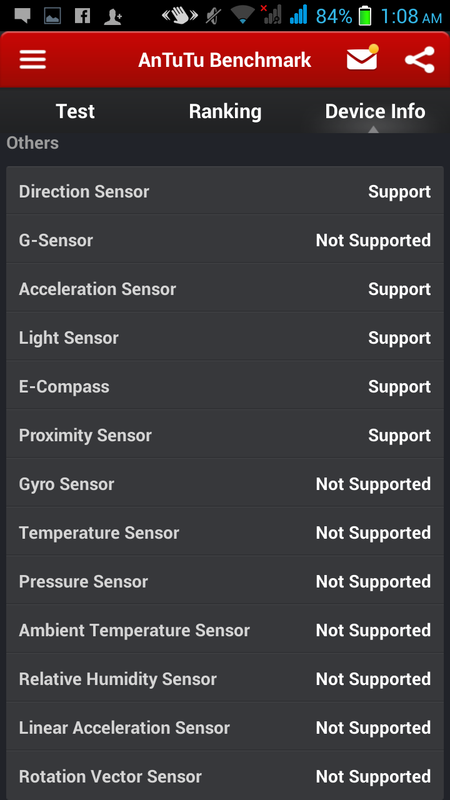 "Upset speaker" option gives you facility to turn on the speakers of the phone during an active call and on next turn it turn off the speakers. 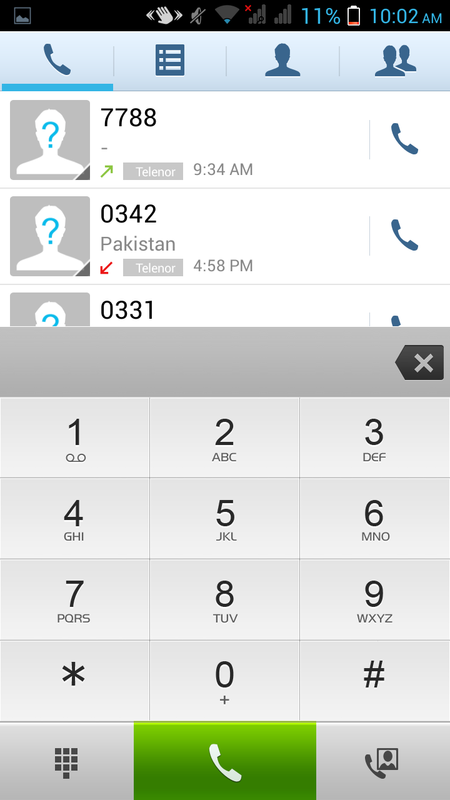 "Smart Answer" option mean you can receive an incoming call by directly bring your phone to ear without touching the screen. "Pocket mood" means the screen of your phone remain off during an incoming call or sms when your phone is in your pocket . It does not turn the screen on for avoiding any accidental press . 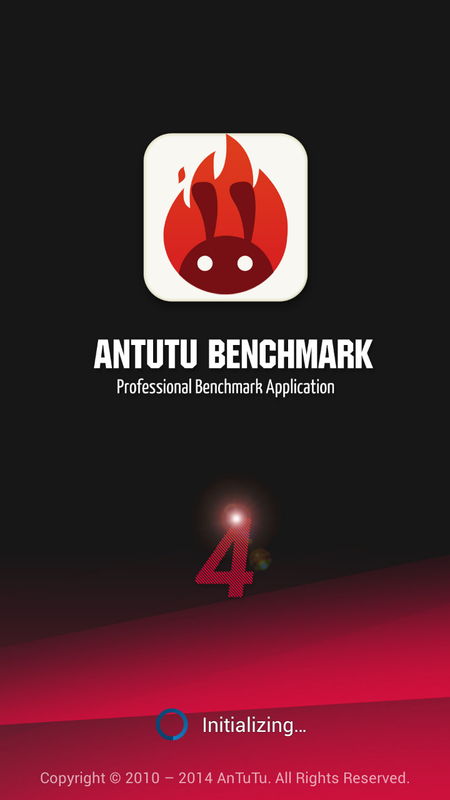 We have run Antutu benchmark on this phone and it show average performance. 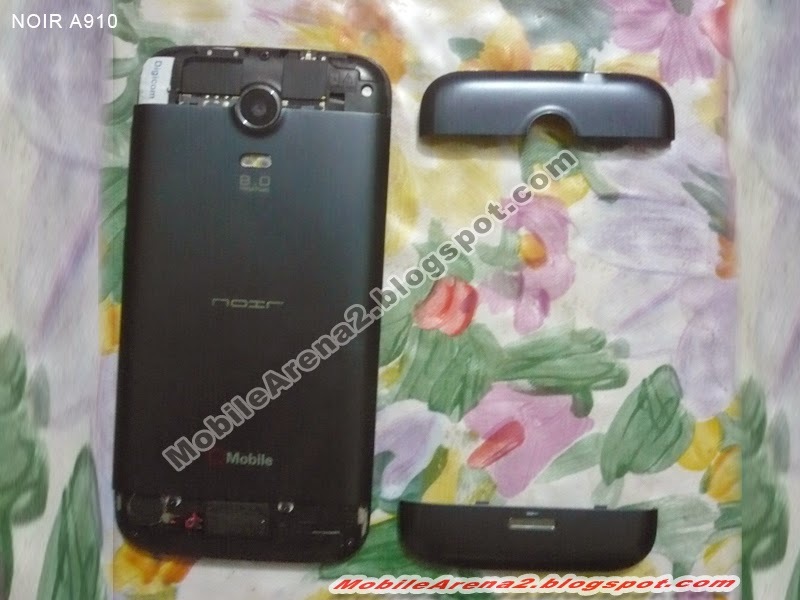 When we compare it with heavy droids , it seems very poor but when we compare it with moderate smartphones it seems good. 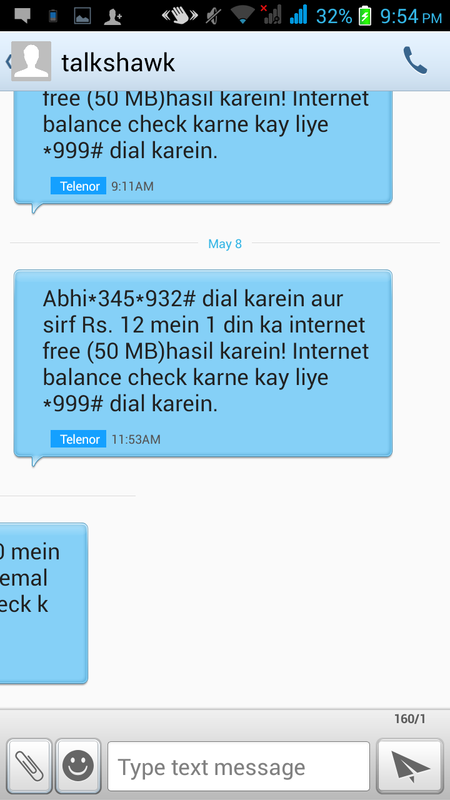 Remember that its score is higer than QMobile NOIR Z4-mini. The actual results are here for you. 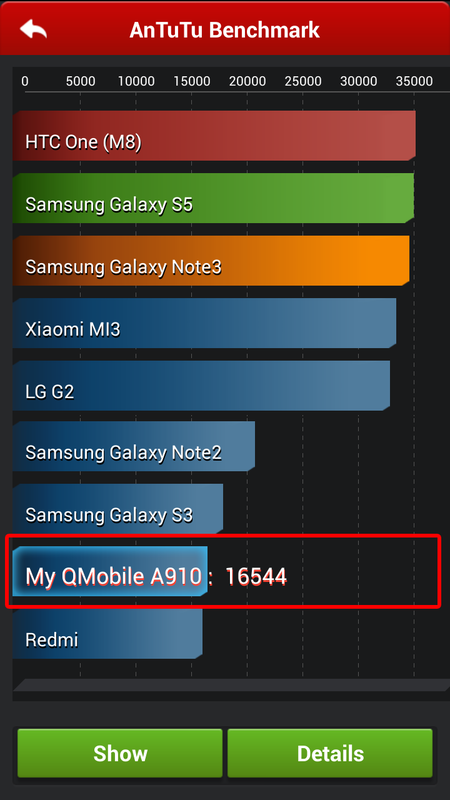 QMobile NOIR A910 is amazingly lightweight and slim phone . 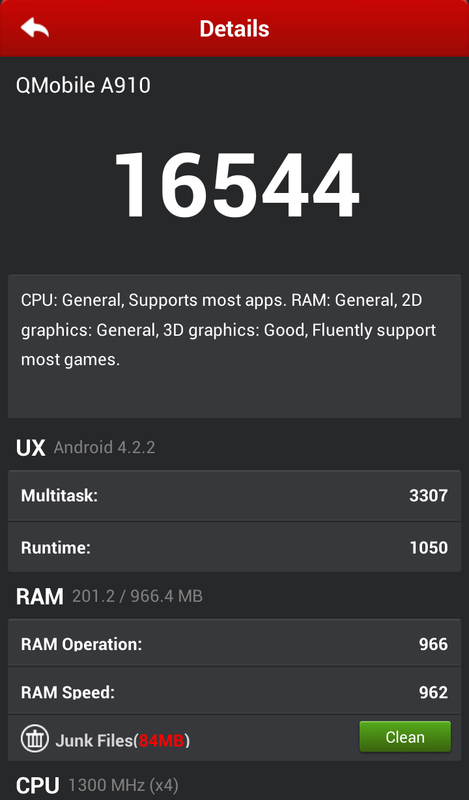 Its Quad-Core processor does good job on every point but show lags on some heavy games. It can be very graceful smartphone for everyday usage due to its functions. A beutiful high end camera and video playback is on top. 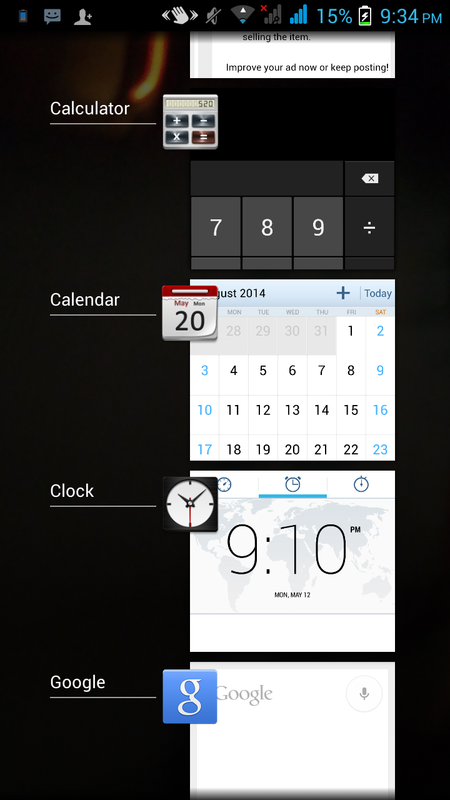 Its calender app gives you very good features to organize your everyday tasks. 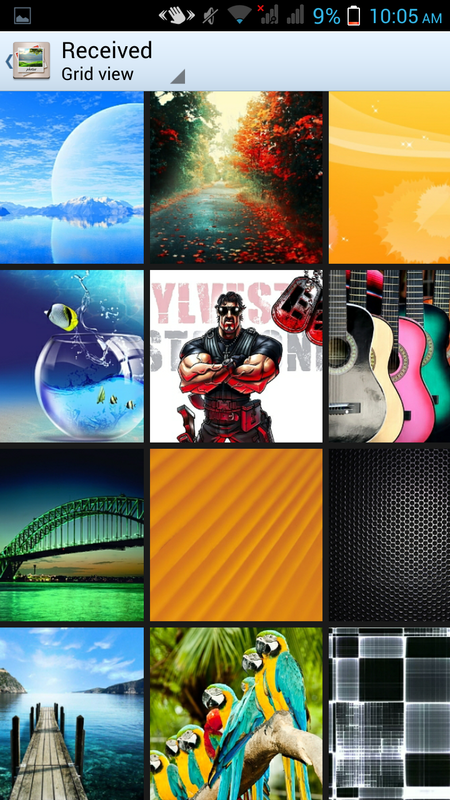 Its voice recorder and music player is also very pretty and provides you premier experiences. 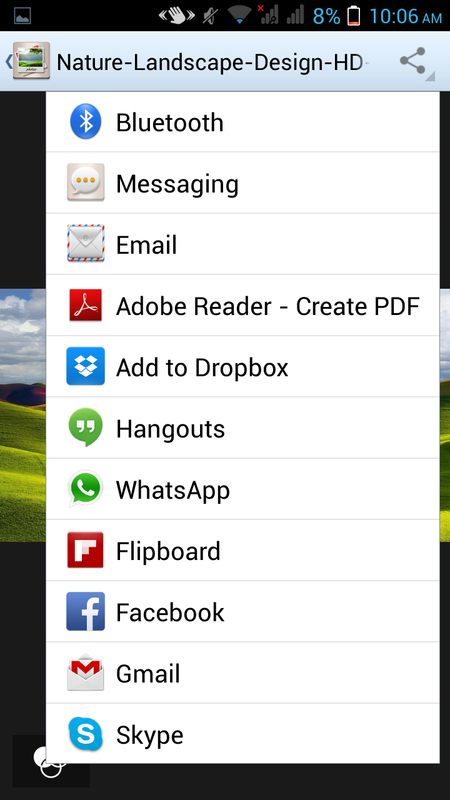 You can add a large number of useful applications from play store according to your needs to make your device more beneficial for you. 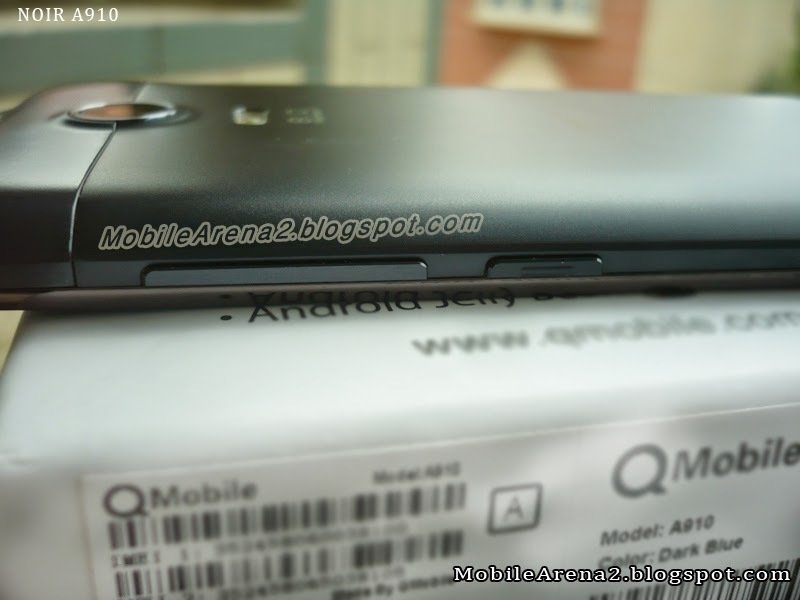 It is batter than many of QMobiles in the price range.